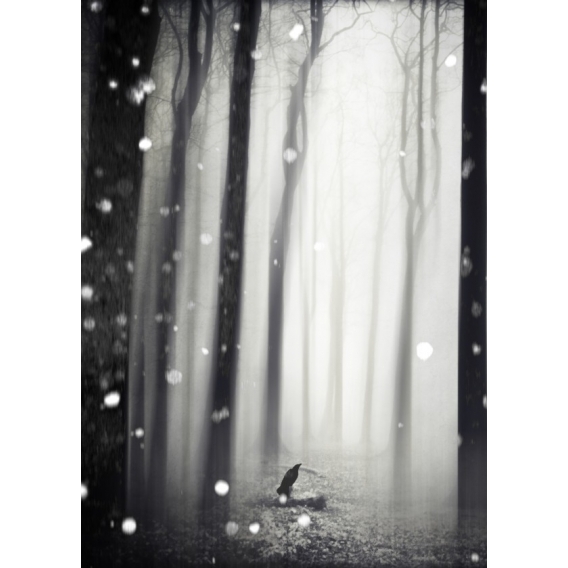 A raven seems to wait peacefully in the middle of a forest where the snow is falling with large flakes, in a dense fog. A picture full of poetry, reproduced on a splendid metal poster. 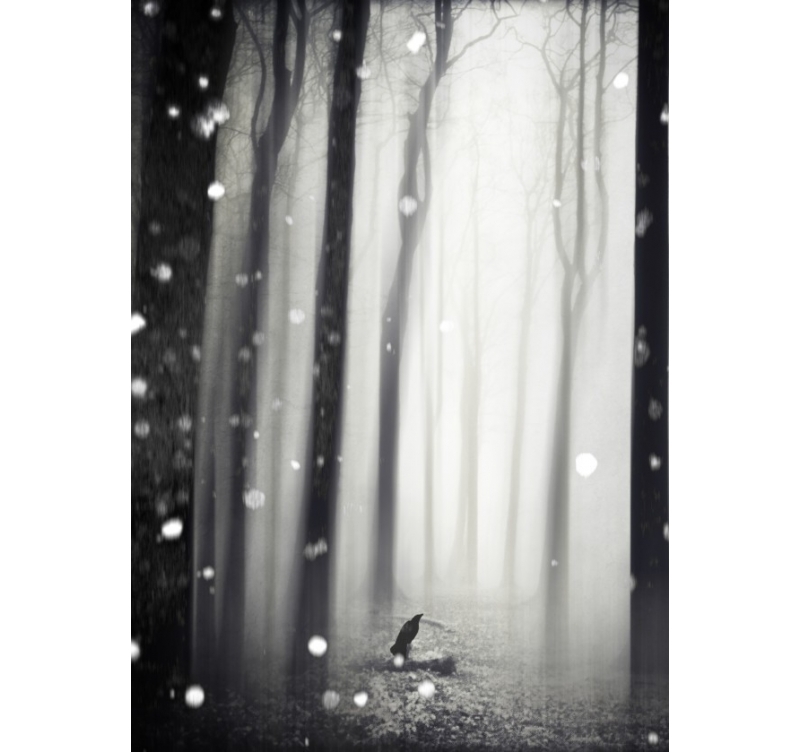 Free delivery in Metropolitan France and Belgium for this Wintersong wall poster. This original artistic work calls for reverie. 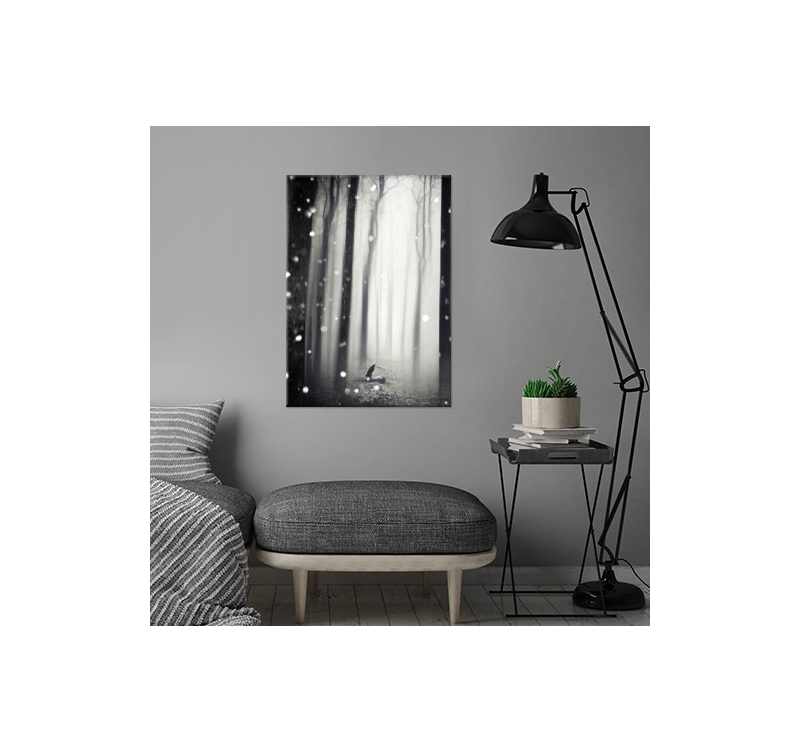 The metallic poster gives a very special effect to the black and white photo where the slender, tall trees seem to come out of the fog. The creator wanted to give the leading role to a raven, which contrasts with the ambient blur. 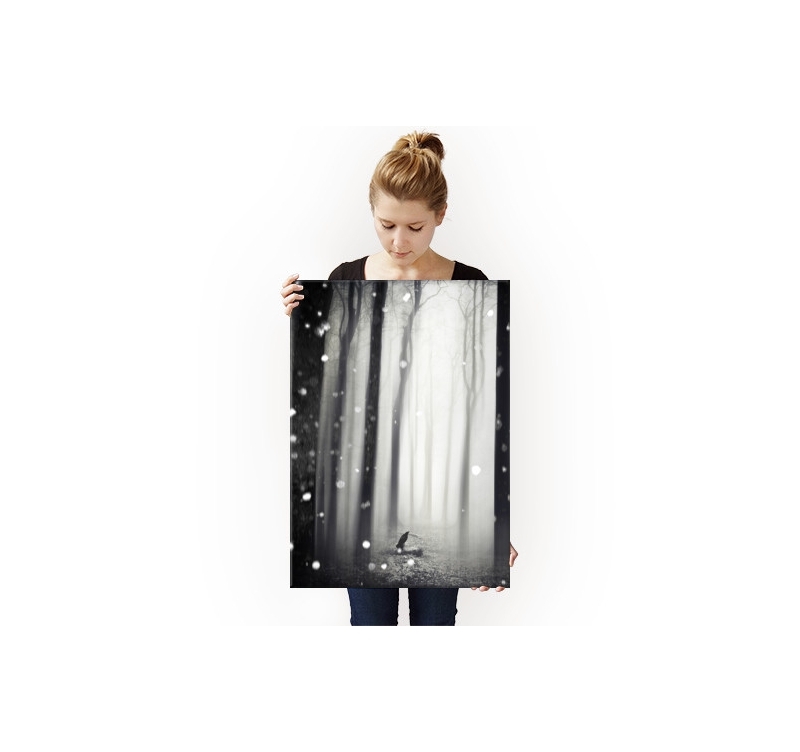 Like flakes falling on this forest, beads of light have been harmoniously arranged to illuminate the dreamlike scene on the metal poster. 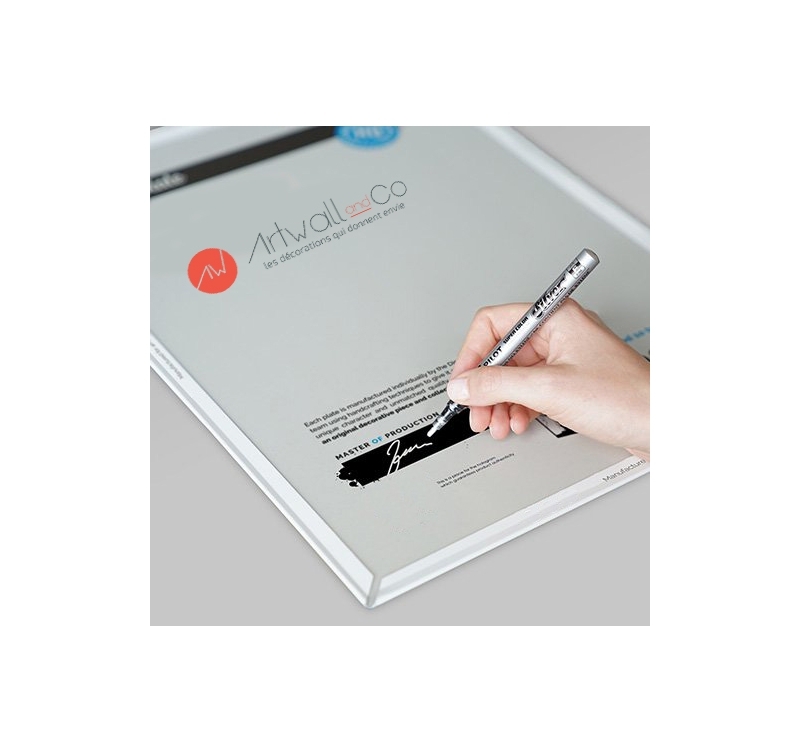 In order not to degrade this work by hanging it on the wall, we provide with the metal poster a magnetic and sticker attachment system. 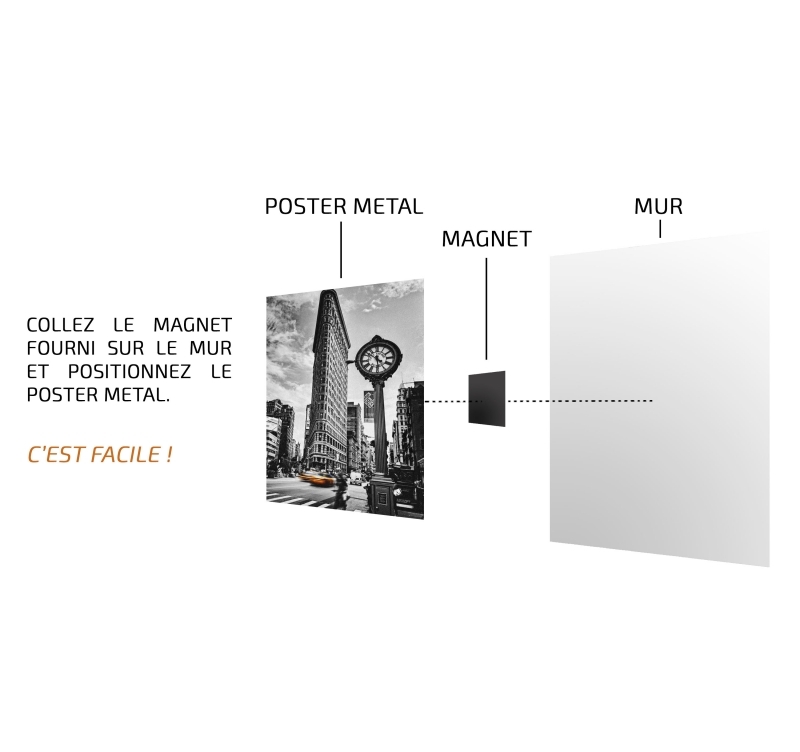 So you just stick the magnet and bring the metal poster to stay in place.